Hojo Town (北条) is located in Tsukuba city, Ibaraki Prefecture. It is one of the local towns with many traditional houses. This town was developed as the town of Tsukuba shrine because it was located on the leading road of the shrine. Hojo is located in Tsukuba city, Ibaraki Prefecture. Hojo was used to be the town of Tsukuba Shrine during Edo period. This town was built during the time of the 3rd Tokugawa Shogun, Iemitsu. 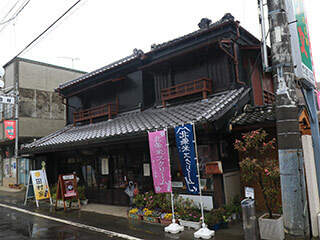 There are many traditional houses remaining in this town. Free resting house with local gifts. It was used to be clothing houses. Hojo Maice cream is popular ice cream here. You can see the inside of a traditional house. It is constructed in 1847. The leading road to Tsukuba Shrine.